Pad cover manufactured from full grain leather and supplied with a writing pad. 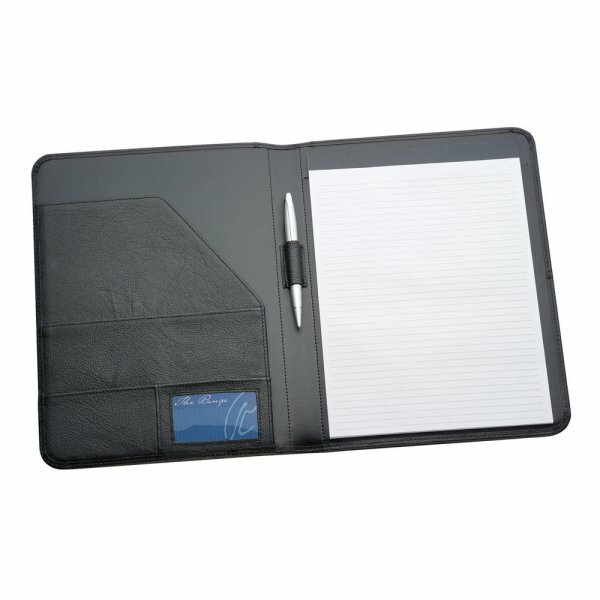 Features pen loop, A4 lined writing pad which inserts from the top, business card holder and internal gusseted pocket. Pen not included.